Barrister Anthony Neoh SC, a former chairman of the Securities and Futures Commission, was recently named as head of Independent Police Complaints Council (IPCC). In this conversation withHong Kong Lawyer, he talks about his goals and vision for the police watchdog and also looks back on a career that saw him reach professional peaks from extremely humble beginnings. 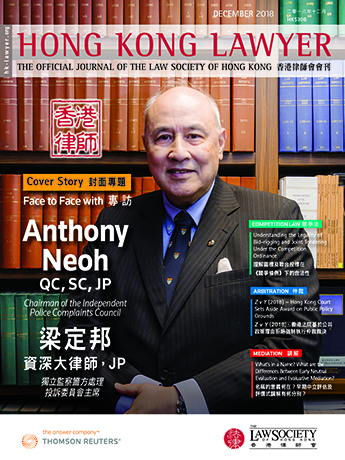 With a career beginning in the 1960s, Anthony Neoh SC has been serving Hong Kong for decades now, in addition to building a successful career as a barrister. However, few could have predicted that he would climb such heights, given that he started his professional life as a schoolteacher without a university degree. Neoh was able to overcome his early disadvantages through hard work and determination. His storied career has seen him serve as a chairman of the Securities and Futures Commission and also being famously invited to be then-Chinese Premier Zhu Rongji’s adviser, shortly after 1997. In this position, he served for five years with the nominal remuneration of one yuan a year, earning him a place among the Hong Kong people named by President Xi Jinping as having made significant contributions to the reform of the country, when President Xi met last month the Hong Kong Delegation to Beijing to mark the 40th Anniversary of Reforms. Well-known for his dedication to serving the public, earlier this year, Neoh embarked on a new role as the chairman of the Independent Police Complaints Council (IPCC). With his two-year term now underway, Neoh has specific goals and visions for the police watchdog. Being unable to afford tertiary education, despite receiving several offers from overseas universities to read computer science, Neoh was left with no choice but to get a job after graduating from secondary school. Neoh was passionate about mathematics, and so he initially pursued a career as a maths teacher. Then, following encouragement from family friends, he applied for a government position. “I took the examination for EO (executive officer) and got the job at the age of 19. Back then, very few executive officers did not have a university degree, and I was fortunate to have been one of them,” he recalls. A couple of years later, recognising Neoh’s outstanding performance, his superior suggested he apply for the position of AO (administrative officer). Neoh duly became one, and while in that role, began preparing for a law examination which was necessary for his confirmation in the job. It was at that point that Neoh realised that he wanted to pursue a legal career. “I was fascinated by the law, and after the AO law examination, went on to study law on a part-time basis. I took a no-pay sabbatical to complete my legal studies,” Neoh remembers. After gaining his legal qualifications, Neoh was seconded to the Independent Commission Against Corruption as Assistant Director, a position he held for three years before launching his legal practice in 1980. “At that time, I was 33 years old, and I had a personally rewarding career with the Civil Service with good prospects. However, my wife supported my decision to leave my position and start my practice,” he says. Starting his own Chambers was just the beginning of a decorated career. In 1984, he qualified for the California Bar and was appointed Queen’s Counsel in 1990. In 1991, he became a Deputy Judge of the High Court. Later, he went on to hold prominent positions in public service. Neoh worked full-time in public service roles between 1995 and 2004. Between 1995 and 1998, he was chairman of the Securities and Futures Commission. After stepping down from the position, he accepted an invitation from then Chinese Premier Zhu Rongji to take on the role of Chief Adviser to the China Securities Regulatory Commission and worked on revamping the securities market in China. From 1997 to 2008, Neoh was a member of the Hong Kong SAR Basic Law Committee under the Standing Committee of the National People’s Congress (NPCSC), where he made his mark participating in a number of fundamental interpretations of the Basic Law of Hong Kong. The NPCSC has interpreted the Basic Law five times since China’s resumption of sovereignty in 1997. The last interpretation was in 2016 and concerned oath-taking required under the Basic Law. Neoh reflects that the NPCSC was fully justified and perfectly entitled under the Constitution to provide interpretations on each occasion. “The NPCSC provided a detailed explanation for every interpretation. The media only reported a tiny portion of it, focusing on only the results but not so much on the details,” he says. Despite this, he hopes the NPCSC will undertake such interpretations less frequently. Commenting on the judicial review applications challenging the constitutionality of the “co-location” arrangement which would allow mainland laws to be enforced over a designated area at the West Kowloon station of the Guangzhou–Shenzhen–Hong Kong Express Rail Link, Neoh feels that the NPCSC should not step in unless called upon by the HKSAR Court of Final Appeal under Article 158 of the Basic Law. The design of the interpretation mechanism is such that it is normally up to the city’s top court to engage the NPCSC where matters relate to defence, external affairs and the relationship between the Central Government and the HKSAR. The legal dispute over co-location could still end up in the NPCSC’s hands as arguably it concerns a matter involving the relationship between the Central Government and the HKSAR, but that is up to the Court of Final Appeal to decide whether to refer the matter to the NPCSC or not, according to Neoh. 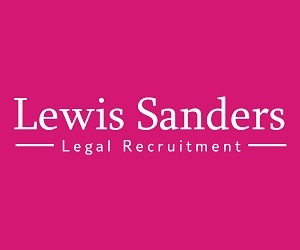 He explains that an interpretation of the Basic Law on a free-standing basis without a reference from the Court of Final Appeal could raise doubts about the legal system because this is not a normally expected feature of the interpretation mechanism. Only one of the five interpretations of the Standing Committee had been referred by the Court of Final Appeal. Although Neoh believes that the NPCSC was justified in making a free-standing interpretation on each occasion, he thinks that the tensions in Hong Kong society, which created need for the interpretations, were deepened as a result. Thus, he feels that free-standing interpretations should be kept to a minimum. While he views future ongoing tensions between Hong Kong and Beijing as inevitable, Neoh agrees that the central government has been firmer than before regarding matters related to the city’s autonomy. “When someone calls for an end to one-party rule in China or Hong Kong independence, how do you think Beijing would feel? On questions which impact upon national sovereignty, there is little room for Hong Kong to manoeuvre,” Neoh says. “But if we are talking about Hong Kong’s role as an international financial centre or development in the Greater Bay Area or the Belt and Road, there is ample room to manoeuvre,” he adds. Neoh’s relationship with Hong Kong law enforcement dates back to his days as Assistant Director of the ICAC. So when he received a call from Chief Executive Carrie Lam in May this year asking him to be the next chairman of the IPCC, he agreed to the role without hesitation. “It is always an honour to serve the public. The duties of the role have no conflict of interest with my practice, so I accepted it,” Neoh says. His appointment also marked the resumption of a tradition of the watchdog being led by senior counsel. Neoh succeeded Larry Kwok, who was the only solicitor to serve as chairman since its establishment as a statutory body in 1996. When asked if he views his appointment as a move by the government to try to restore public confidence in the force, Neoh says that such a goal fundamentally requires a collective effort. Neoh adds that Kwok had worked hard to resolve conflicts between the police and the public during his four-year term, and he is looking forward to building on Kwok’s work. “Many bodies and organisations have written to me on how our society has become more divided than ever. My focus will be on finding a balance between the interests of the public and the powers and duties of the police to enforce the law,” he says. Neoh says that he is still new in his role, and he has a lot to learn before he feels able to share his thoughts on the council’s role or comment on relationships between the force and society at large. He shrugs off suggestions that the watchdog needs direct investigative power but concedes that the IPCC should push for better management, supervision, and training in the force to prevent future complaints. “We already have the Complaints Against Police Office in the force, and the IPCC can meet aggrieved complainants in person. Public money should be put to good use. We can be more proactive in making use of our power of review and make recommendations for better policies and procedures and changes in management practice in the Police Force. Even if the police do not accept IPCC’s suggestions, we can elevate the matter to the Chief Executive, so there does not seem to be a need for more powers,” he says. A pressing issue for Neoh has been the anti-riot vehicles equipped with water cannons that were recently acquired by the police; this was considered a somewhat controversial measure. Currently, the force is undergoing training and expected to draft usage guidelines for the deployment of the vehicles by March next year. Neoh says the IPCC will review the draft and will, where necessary, make recommendations. “I believe the trucks will only be used in situations that the police have difficulty ensuring public order, such as riots, and even then, only if it is necessary and proportionate. Any use of force must be done under the law,” he says. When asked if the police should publish the guidelines, Neoh suggests that it may not be appropriate to do so in their entirety at this stage as the guidelines might contain tactical matters, but what is important is that there should be a set of clear principles for use and these should be revealed and explained. Other issues pertain to the declining perception of the police among the public. In 2014, IPCC received just over 3200 complaints, of which 278 concerned the Occupy Central Movement. Thereafter, the number of complaints decreased to the mid 2000s from 2015 onwards, although the Mong Kok disturbances in early 2016, did produce 46 complaints, a number of which were high profile complaints, including one against now-retired superintendent Frankly Chu, who hit a passer-by with his baton in Mong Kok during the Occupy Central Movement. Superintendent Chu is appealing his conviction to the Court of Final Appeal. Public confidence in the force dropped sharply following the Occupy Central Movement, from 75 percent in 2011 to 62 percent in 2015, according to a survey by the University of Hong Kong. Referring to the Occupy movement and the Mong Kok disturbances, Neoh says the police had not been required to deal with such situations since the riots in 1967. Following these events, the public has been paying greater attention to the actions of the police in similar circumstances, particularly when it comes to using force during a protest. Neoh highlights that some of the cases involving the Occupy Central Movement and the Mong Kok disturbances of 2016 have not yet been finally resolved and suggests the public and the police both have a lot to learn and reflect upon from these events. “Enforcement of the law has become more complicated. The police are challenged to find a balance between protecting people and the public’s freedom of assembly. The causes of social disharmony should not be laid at the door of the police, as the police did not cause the disharmony, but it is nevertheless reasonable to expect the force to reflect on its actions when faced with public disorder. Moreover, the IPCC stands ready to help them reflect upon these issues,” he says. Time has repaired the decline in confidence in the police. Research in January and February this year found confidence in the force has risen to 79 percent. Neoh believes a better economy, coupled with a more “open” attitude from the present administration has helped in restoring public confidence in the force. He also credits the police for its efforts educating the public around online scams and endeavours to keep the city’s crime at an extremely low rate, rendering Hong Kong one of the safest places in the world. Neoh, who is also the chairman of the Asian Academy of International Law (AAIL), says the city has a natural advantage in the development of international law practice due to its position as a cosmopolitan city and international financial and commercial centre. The city is also supported by a strong culture of probity, well-established legal system, and the government's strong support for it to be an international arbitration centre. 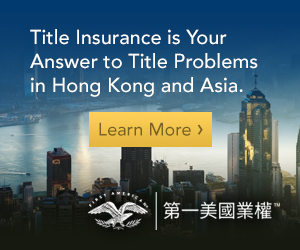 "As an international financial and commercial centre, Hong Kong is a popular destination for multinational businesses. 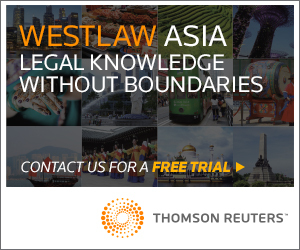 With the support of the Belt and Road Initiative, Hong Kong has what it takes to be an international law centre," he says. Neoh believes there are plenty of opportunities for local lawyers to work in international law. He notes the recent agreement between the Philippines and China on the joint exploration of oil and natural gas in the South China Sea as an area local lawyers should derive future work. “Lawyers with knowledge of international law are going to have plenty of opportunities when it comes to legal work involving oil drilling and other infrastructure projects,” he says. As a result of such developments, Neoh urges local law schools to put greater emphasis on educating students about international law, a practice area which he believes will blossom as the city develops into a global legal hub. A passionate proponent of technology, Neoh has long been fascinated by computer graphics. After watching Pixar’s classic animated children’s film, Toy Story, he was inspired to explore his interest further and play a hands-on role in developing China’s computer graphics expertise. In 2000, along with his younger brother, Raymond Neoh, he founded Digital Creations Holdings Limited ("GDC"), one of the first professional CGI animation studios in China. Five years after the studio was established, GDC released Thru the Moebius Strip, an 87-minute production and the first 3D-CGI feature film released in China. The film premiered at the Cannes Film Festival in 2005 and was released with Putonghua dialogue in China that same year. It was also subsequently internationally released with the original English dialogue. Neoh, who was heavily involved in the production process, including planning, pre-production, production and post-production stages, also played a key role in the music supervision and even penned lyrics for the film’s choral music. Driven by the belief that China needs its talent to stay competitive in the creative industry, Neoh emphasises that nurturing talent for the future is critical. “Along with the studio, we also opened IDMT (Institute of Digital Media Technology Limited), a school to nurture computer graphics talent in China. IDMT invited people who have worked at Pixar to teach at the school,” he says. At the age of 72, and with opportunities still plentiful, Neoh doesn’t plan to retire anytime soon. 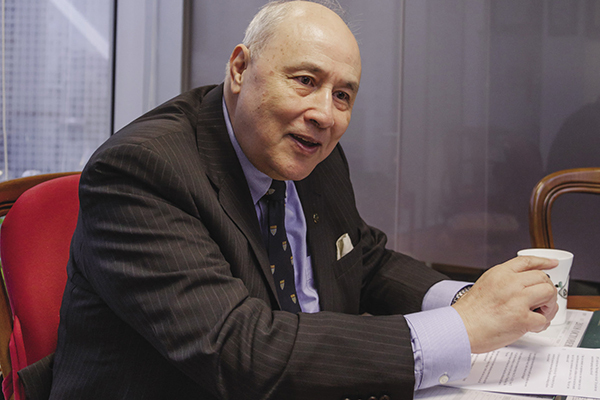 “Back in 1998, when I just stepped down as the Chairman of the Hong Kong Securities and Futures Commission, I had an offer to be a visiting professor at the European University in Florence. I thought that I would spend the rest of my life enjoying Italian opera there, but then, a call from Premier Zhu Rongji asking me to be his adviser changed everything. Earlier this year, I picked up this new role with IPCC. I am too busy to think about retirement,” Neoh says. In addition to his IPCC and AAIL work and a busy practice as barrister and international arbitrator, he serves as Treasurer and Council Member of the Chinese University of Hong Kong. He also carries on an active role as a teacher in many universities, including UST, Lingnan, the Open University and the National University of Singapore, where he lectures on legal and financial history, current issues of financial regulation and international commercial arbitration. Adding to this workload, he chairs the Risk Management Committee of one of the World’s largest banks, the Industrial and Commercial Bank of China, and sits on the boards of CITIC Limited and the New China Life Insurance Company. He is also in high demand as a speaker at international conferences. With such long and varied experience in public and professional service, one might be tempted to ask whether Neoh may be overqualified for the IPCC job. Indeed, he was asked this very question by a reporter when the news of his appointment broke. “No one is ever overqualified for public service. One must treat any public office with a deep sense of humility and service. In every public role I was in, I learnt a lot. I know, sometimes things did not turn out to be the way they were supposed to be, but whenever I had the chance to serve the public, I gave it my best shot, and in return, I have been personally amply rewarded by the experience, so I have no regrets,” he says.